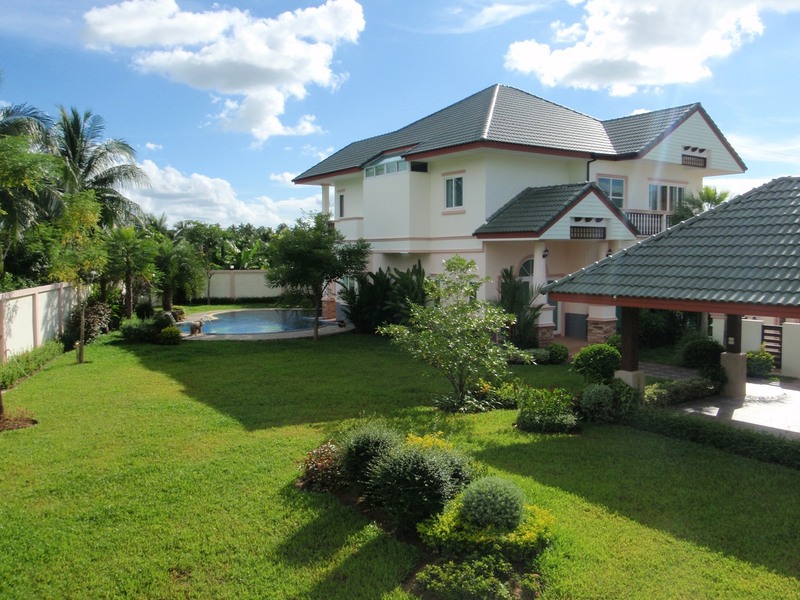 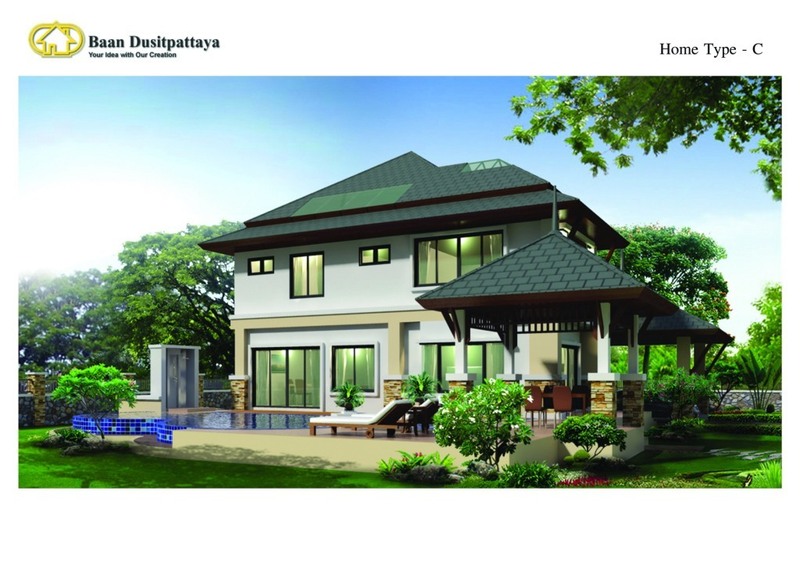 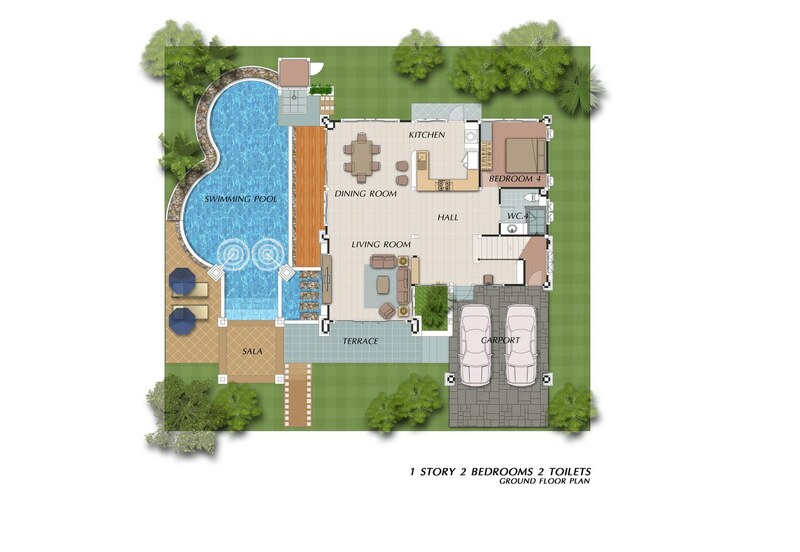 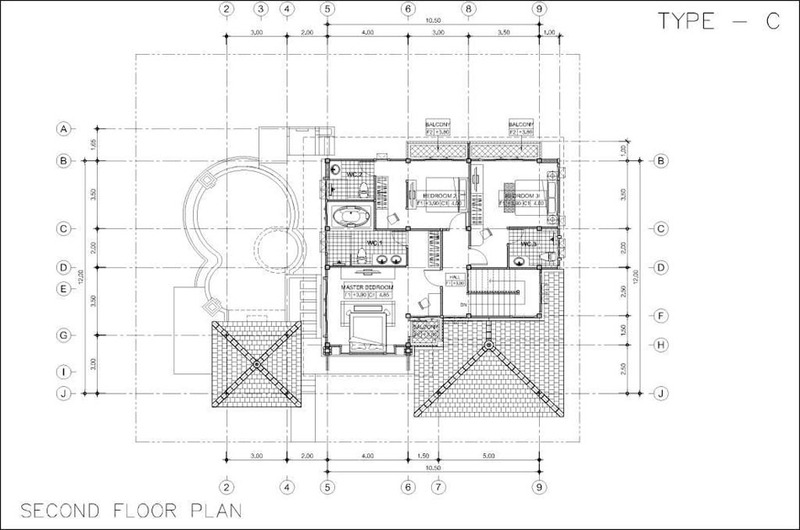 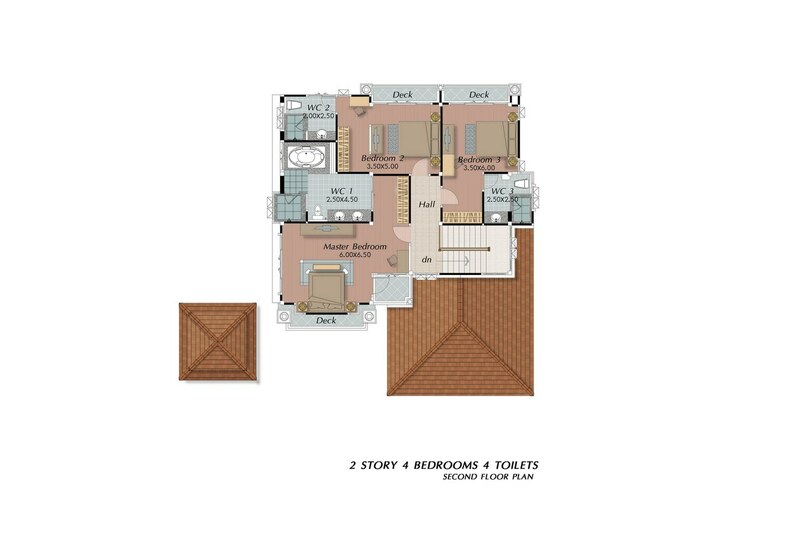 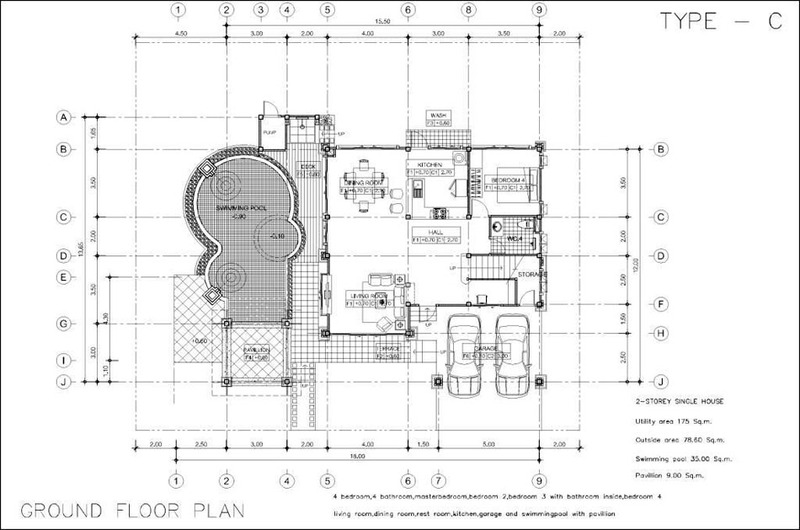 Houses Plan - Baan Dusit Pattaya - House Type C - 299,25 sq.m. 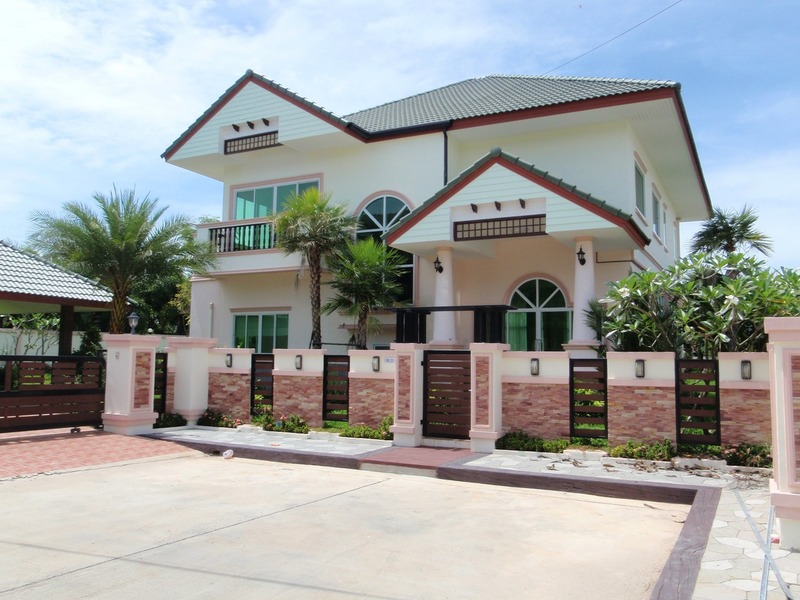 Baan Dusit Pattaya - House Type C - 299,25 sq.m. 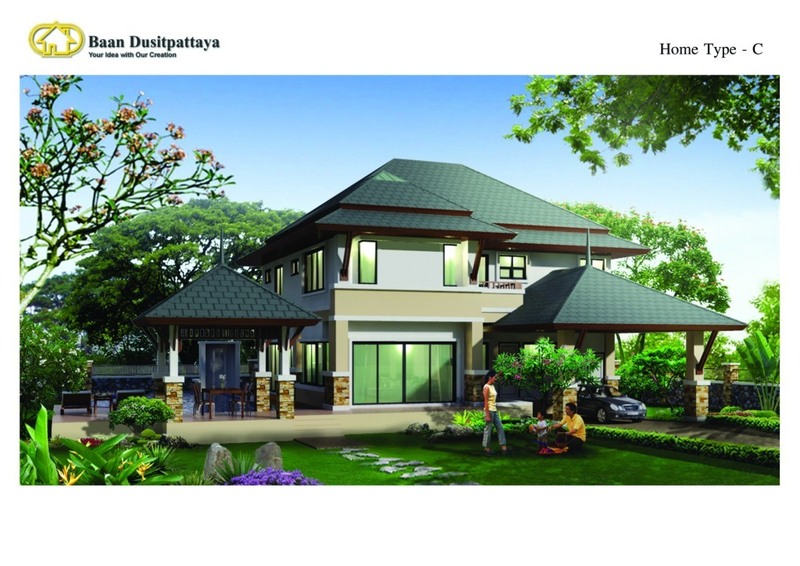 House Type C, 2-stories, 299,25 sqm, 4 bedrooms, 4 bathrooms, livingroom.